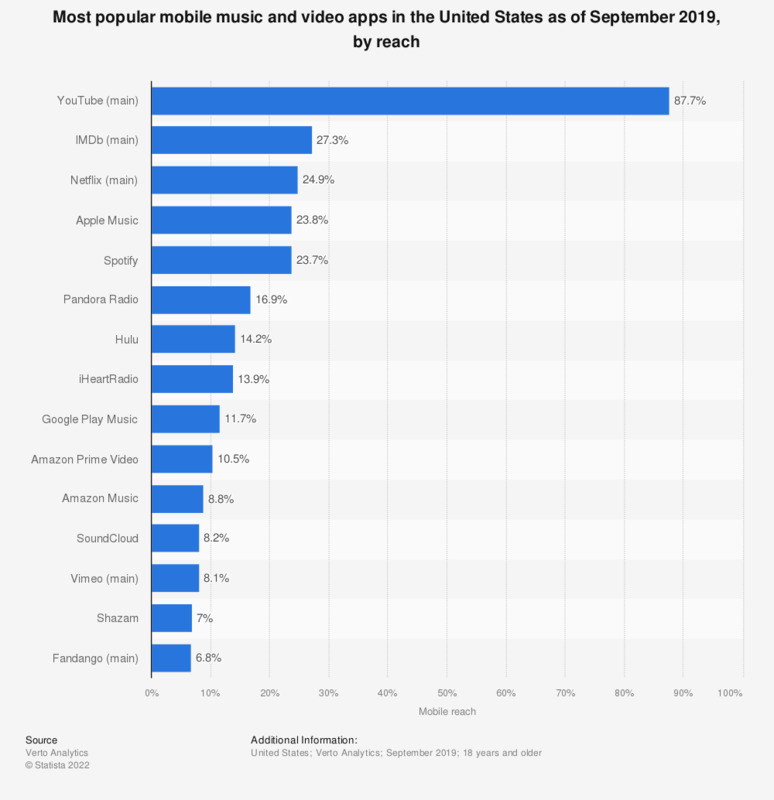 This statistic gives information on the most popular mobile music and video apps in the United States as of October 2018, ranked by mobile reach. During that month, 82.9 percent of mobile users accessed the YouTube app. Spotify had a mobile audience reach of 20.8 percent among mobile U.S. audiences.